I arrived late, just after the clock changed the date at Netaji Subhas chandra Bose Airport; an old but structured airport. My Friend Sourav was waiting outside it just near the 24hrs coffee shop. The Chaos and Corruption which is very in sight in Bangalore took a back seat here, atleast you get yourself a piece of your own mind. Calcutta Chromosomes are tad slow and goes back in time. We stayed in CCD till the last drop of our coffee, which was regulated twice by an extra dose of coffee each time. Calcutta definitely love their coffee light and sweet. Soon we were on our way to City (शहर), as per a sign board just outside Airport. The Roads were deserted around 1 AM. I could see sleeping lives and halted taxi all the way to home. There were policemen minding their own business at usual check posts. I was wondering nobody stopped us, Yet!. Back in Bangalore you will be stopped atleast 3-4 times to check for your breath. Bangalore police keeps their vigil not to save you or some pedestrian but to earn some extra bucks. At least a Common man can identify the differences in the attitude of the Govt officials (I am not saying that West bengal is less or more corrupt, this is with respect to day to day life observation). The night was made longer with more discussions and a late night Dinner. Needless to say that the spicy egg curry with Plain paratha was awesome. It reminded me of a funny word "DIM", which means egg in Bangla. and its more funny when a true son of the soul says it. The flight was tiring and I retired late. A call from a Dentist at early hours to treat you from the Stomach upset can really be soothing. My another Dentist friend Goldie, eager to meet me, had cancelled all his sheduled appontments and was really anxious about my whereabouts. Soon after the prescription, I felt better and the system was cleansed. I had Chola-Bhatura in my breakfast and left to Alipur-Behala. The Dental clinic was made into a small eatery with a provision of drinks. We went downstairs to a grill-locked wine shop and got some beer. I took He-Man 9000 beer and Palone - Carlsberg. Palone is a strong beer from the Carlsberg stable with 7.5% alc v/v. Goldie chose Tuborg beer (Again a brand from Carlsberg stable). Okocim Palone is dark in color with intense taste due to a unique process of malt fire-burning. A process that requires craftsmanship and precision from the brewer. As a result a beer has been created with a slightly sweet taste at first sip and a nice bitter follow through. While He-Man9000 is really a strong beer with taste like that of Iron (blood).It is brewed by Yuksom Breweries with Malt Liquor style in Sikkim, India.This beer is from the same brewery which brew Dansberg Premium Lager Beer, a brand owned by Bollywood lovable villain Danny Denzongpa. After the short stint with new beers, we had the awaited Calcutta style Mutton biryani and Rezala Chicken along with Reshmi Kebabs and Chaps. The food was mouth watering and I must confess, after Delhi, Calcutta and Hyderabad are the two Metropolitan cities which can boast a non-vegetarian platter. Calcutta or Kolkata biryani evolved from the Lucknow style (Awadh) in 1856. 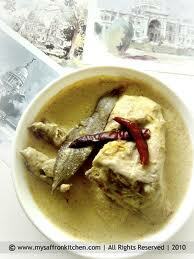 The Meat also include a large peeled Potato as a distinct feature of the Calcutta biryani along with an boiled egg. 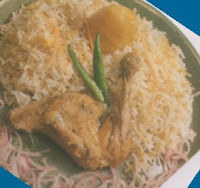 Also Calcutta biriyani is much lighter on masala and more subtle , unlike it's Hyderabadi counterpart and the rice is boiled with a lot of Saffron and added fragrance. Chap (ribs slow cooked on a tawa) and Rezala (meat in a thin yogurt and cardamom gravy) is a perfect combination with Biryani. Rezala has not so thick white gravy with little bengali style sweetness which comes by adding a dash of sugar and a nice blend of poppy seeds(Posto dana) and cashew. Soon after the food was licked-finished, we headed out for a strong head massage. Funny it was that we carried Carlsbergs from the shop next door Saloon. we discussed some nonsense stuffs and soon was hungry. 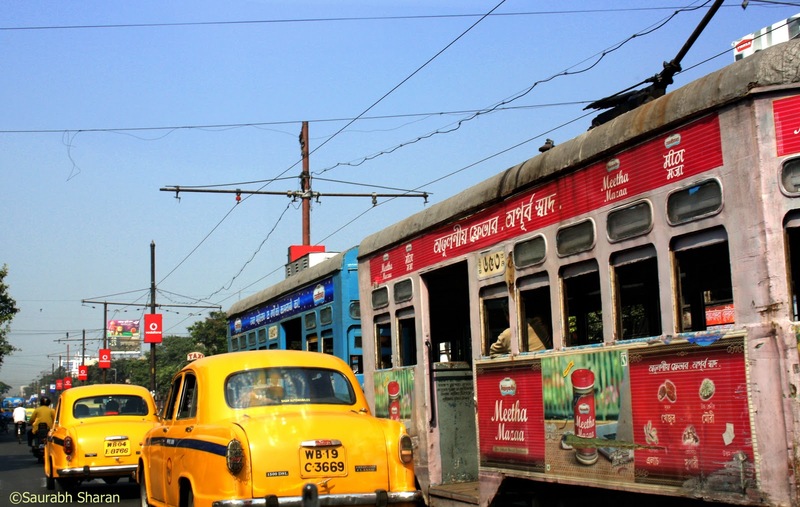 The Famous Calcutta chat house was calling us.We had our Kesar-Kulfi. I reached Sourav's place in the evening and was soon heading towards Underground Disc (HHI). It was already 9PM. 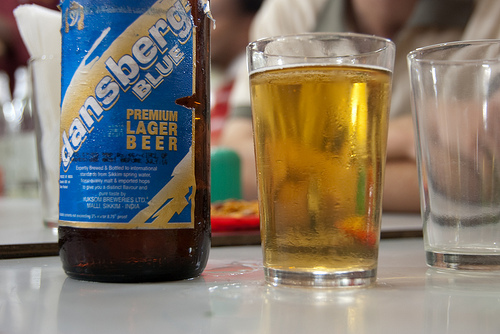 so instead, we headed to Sanjha Chulha for the Tandoori Pepper Chicken and a pint of classic Kinglisher. The Chicken was juicy and spicy, licked beyond the bone. 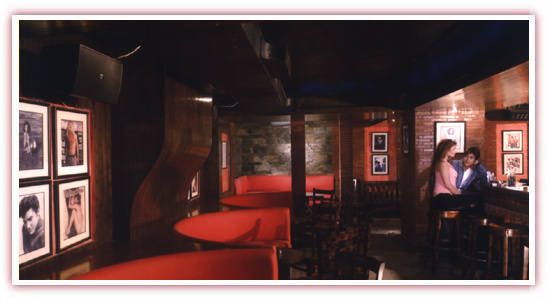 The island bar with a wide bar platform of Underground was dark gloomy and Expensive. The crowd was niche but the DJ was sick. The dance floor was only for couples so Sourav and me took our turn with Bhabhi one by one. Heineken was the cheapest beer at the price tag of Rs470/- pint exclusive of taxes. I must admit that Kolkatan Girls are far bolder than their counterparts :). The DJ played many songs umpteen times but we were in the groove enjoying our own Dharmendra style dances. 2AM: we came out of the Disc and headed towards the Azad-Hind Dhaba on Ballygunge Circular Road. South Kolkata’s posh Ballygunge neighbourhood wakes up in the night after the pubs and discs are closed. All the night crowd with their minis and Mazda come here and stand in a very long queue to get their seats. We were lucky enough to get the seat on the upper floor AC-restaurant. Azad Hind has been one of the hot spots for late-night diners for a while now. It opened in the late 70s and has many well-loved items, including the Crispy baby corn fried. 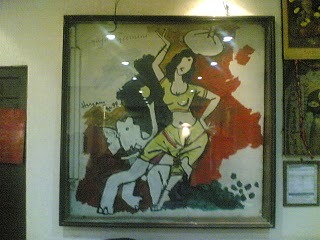 Sanjay Dutt, Hema Malini, etc are regulars here along with famous painter M.F. Husain who would drop by for tea and had even gifted the eatery a small work of his "An Original M.F Hussain Gaj Gamini" painting that the master himself had done on the wall. After the heartily Midnight Meal-The Night was over and a day in Calcutta. The Date was changed before I could register.